Every year at the Wörthersee VW meet, Volkswagen itself brings something special to show off. 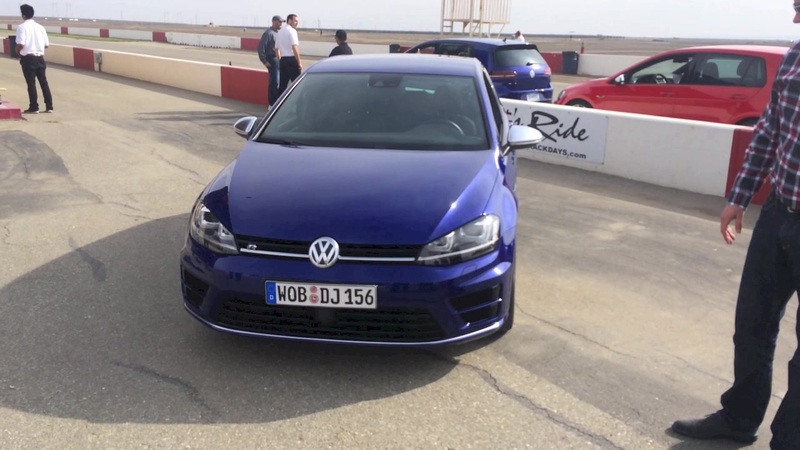 It can be something wild like the hybrid GTI it showed last year, or the W12 GTI from 2007. 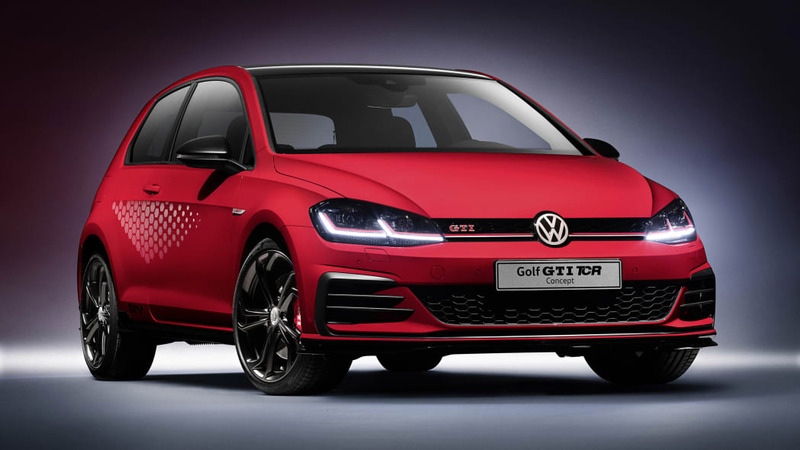 It can also be something production-ready, such as the VW Golf GTI TCR concept it's showing this year. 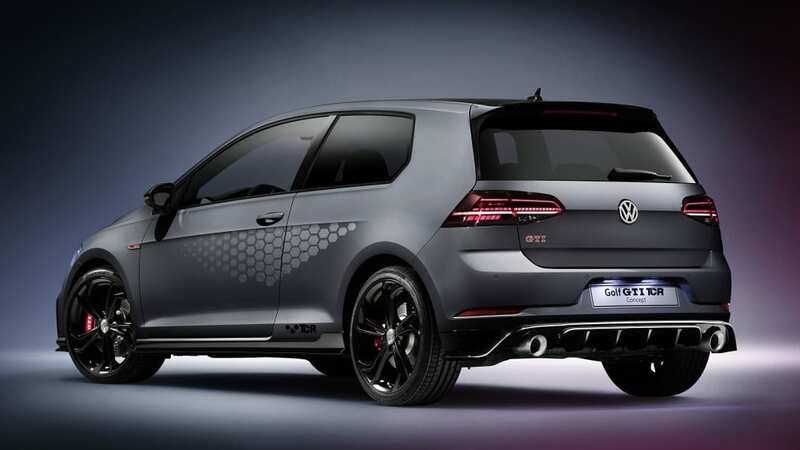 This GTI is designed to be a hotter version of the little front-drive hot hatch, and to that end it has a turbocharged 2.0-liter four-cylinder engine making 286 horsepower and 273 pound-feet of torque. Power goes solely to the front wheels via a seven-speed dual-clutch transmission and a mechanical limited-slip differential. 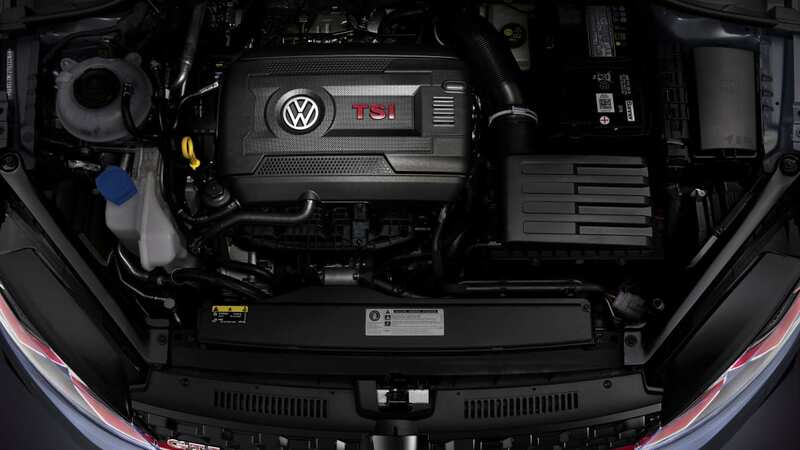 The engine even features an extra pair of radiators for additional cooling capacity. 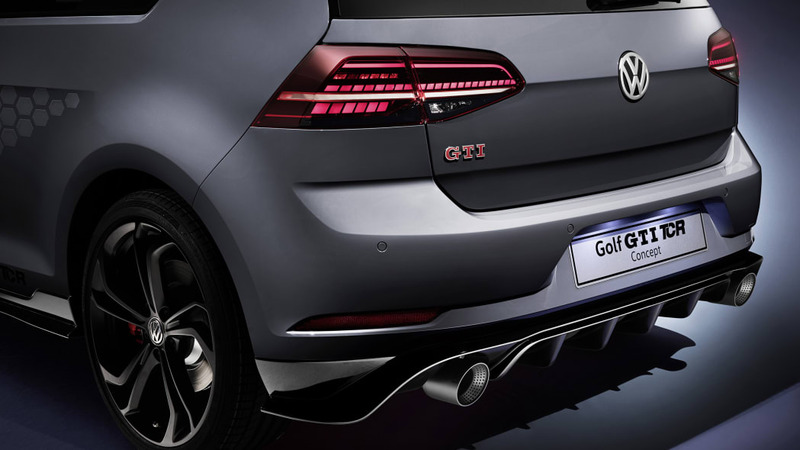 All told, the GTI TCR is capable of reaching 164 mph when the speed limiter is removed, an extra option. Visually, the TCR is differentiated from the run-of-the-mill GTIs by a new front bumper and splitter, as well as new side skirts and a rear bumper with an aggressive diffuser. Above the side skirts are little TCR logos, and the car will be available with a hexagonal pattern vinyl graphic on each side. Wheels come in an 18-inch size as standard and 19-inch versions will be an option. 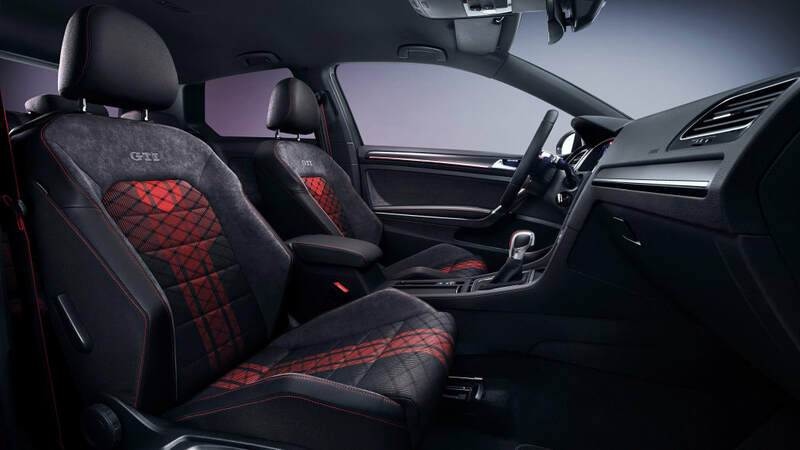 The interior is modified, too, with black cloth seats with a striking red stripe design down the middle. The leather-wrapped steering wheel also gets a red stripe at the 12 o'clock position. 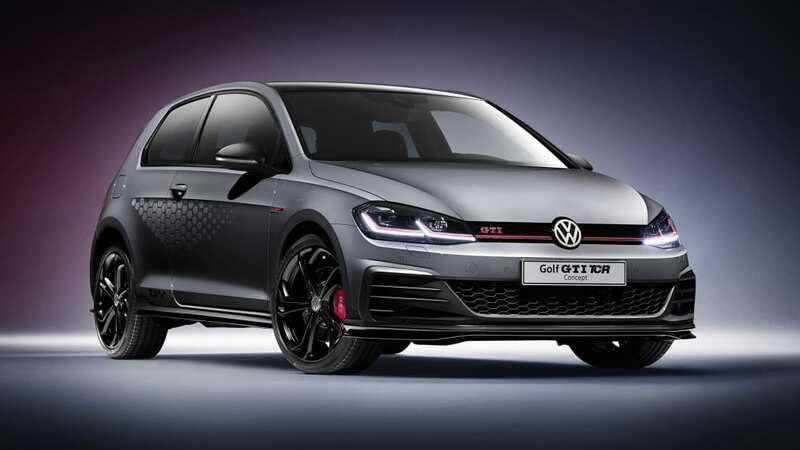 Volkswagen plans to put the Golf GTI TCR into production, and likely by the end of the year. 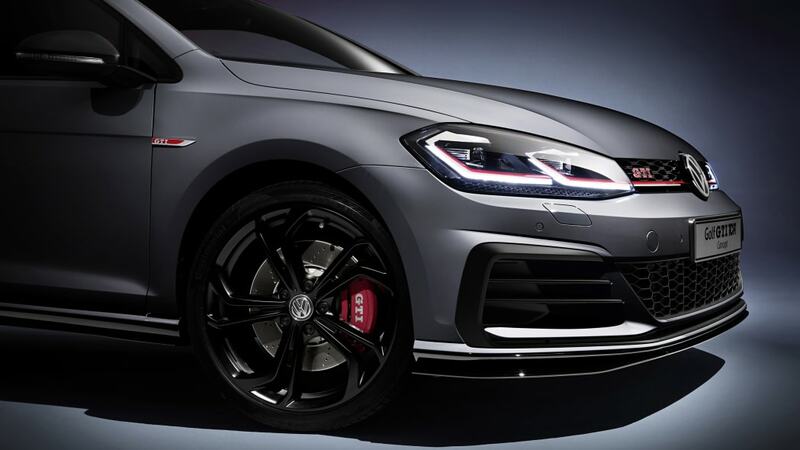 Unfortunately, there are no plans to bring this ultra-hot VW to the U.S.